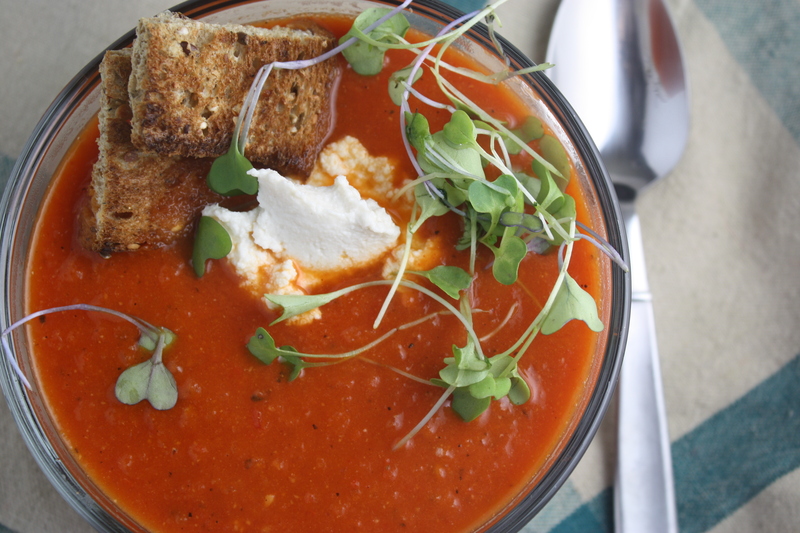 This soup brought me right back to the tomato and pepper fields at Hutchins Farm. 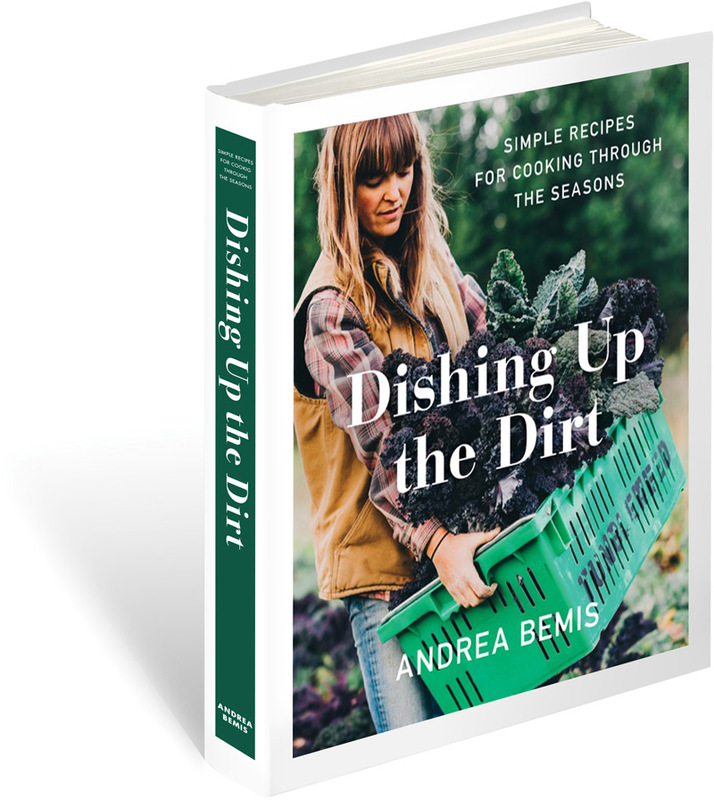 The memories of time spent seeding, planting, hoeing, fertilizing, staking, stringing and harvesting came flooding back to me with every bite. 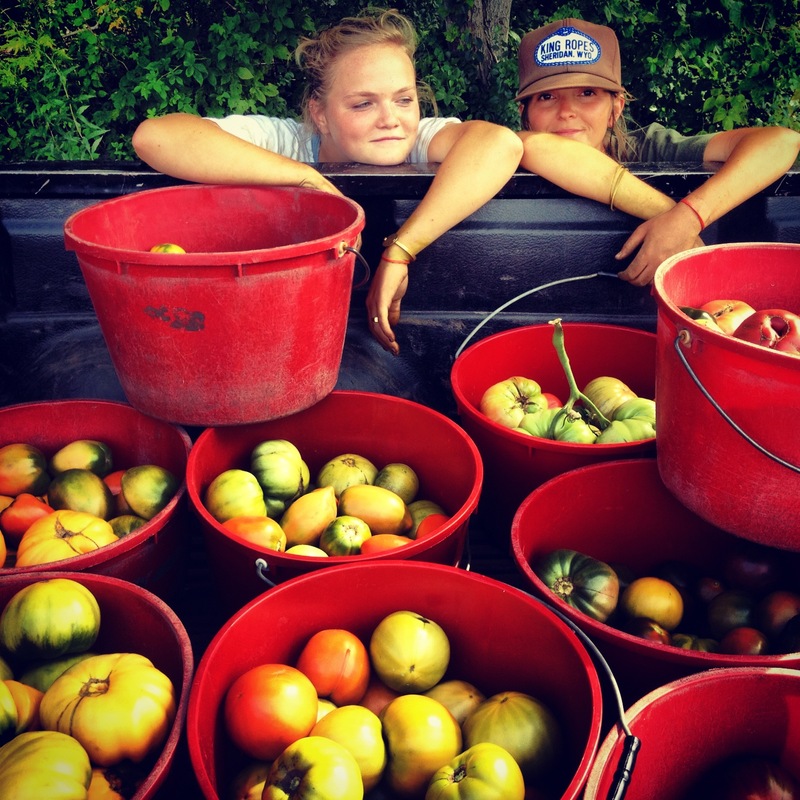 Bucket after bucket of heirloom tomatoes were picked every day. My back hurts all over again just looking at these photos! 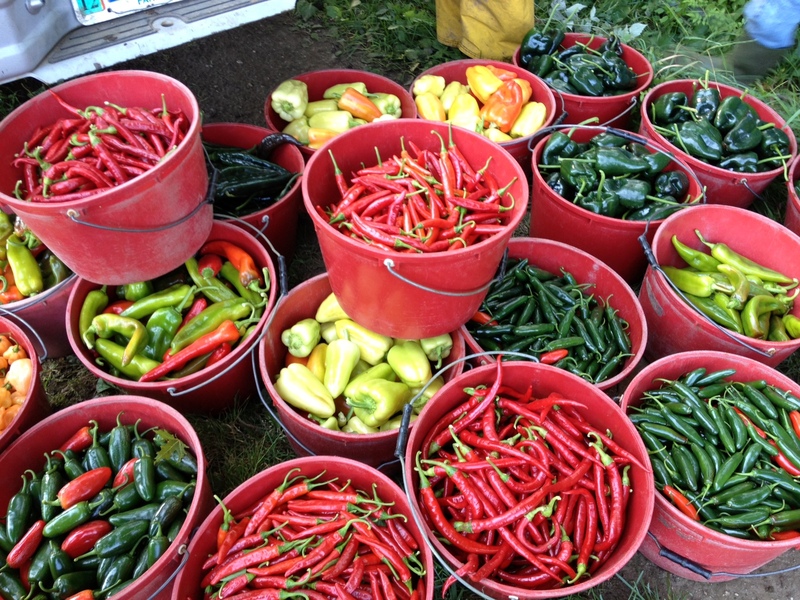 And those peppers? The hot ones, the sweet ones, the mild ones, I loved them all! 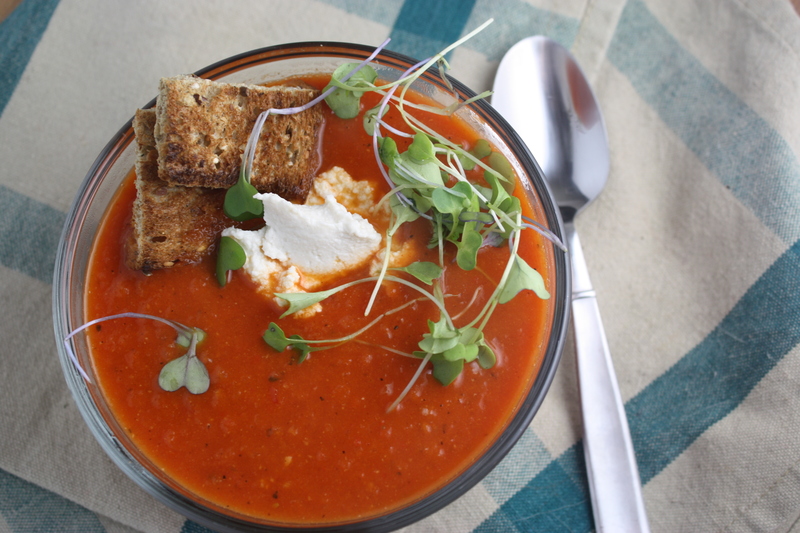 This soup is a tribute to summer. It’s a tribute to the hours and days spent caring for all the plants I so dearly loved. It is a reminder that something so simple can taste so amazing. I could almost taste the dirt…almost. 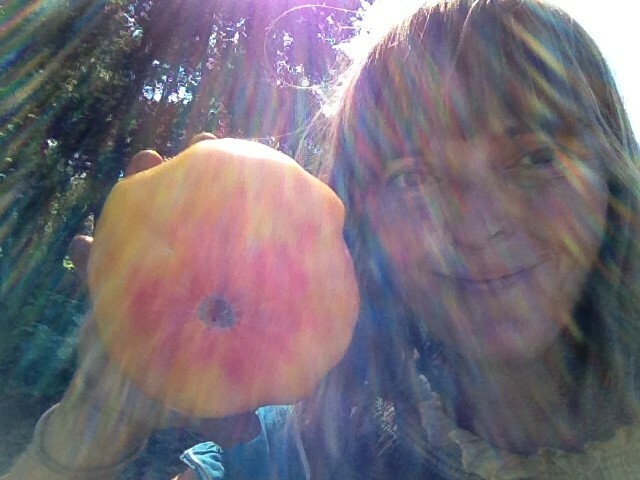 I had a can of tomatoes from Hutchins Farm that made it all the way to Oregon. The peppers came from the grocery store. However, this is a reminder to all of you to can as many vegetables as possible this coming season. There is nothing better than opening a can of fresh produce in the middle of winter! Oh yeah, and don’t forget to make a batch of cashew cream. That’s what we topped our soup with. Amazing! 1 quart sized jar of tomatoes (if you are using store-bought I think fire roasted tomatoes would taste awesome)! In a large soup pot saute the onion over medium high heat in the olive oil for about 8 minutes, stirring occasionally. Add the garlic, tomato paste and spices. Cook for about 1 minute stirring often. Add tomatoes, peppers, and broth. Bring to a boil. Reduce heat to low and simmer for about 30 minutes. Add salt and pepper. With an immersion blender blend the soup until smooth. Or you can transfer soup in batches to a blender or food processor. Keep soup warm until ready to serve. Serve soup in bowls with a tablespoon of cashew cream, croutons, and greens of your choice. Enjoy! I need a taste of summer to get me out of my cold weather funk. What a great soup! 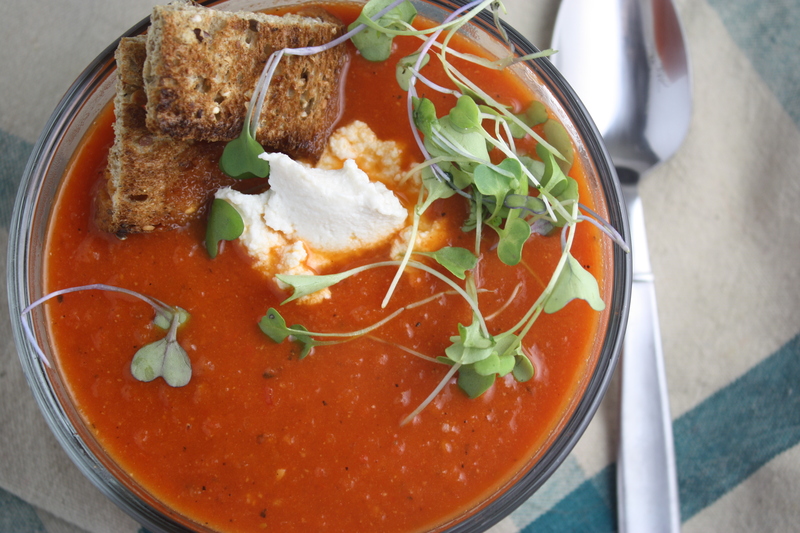 I made tomato soup last week and even blogged about using cashew cream! Great minds think alike – wow yours looks so good! And the carrot cake skookies and the Xmas day veggie pie and all of your food looks delish! Gotta love the cashew cream! I’m going to attempt your raisin brad this weekend. I’m weak in the baking department so this will be a challenge!